With more than 50 years combined experience, our dedicated team will spend time understanding your unique requirements and engineering a custom, quality solution that meet New Zealand standards. As locals we know the unique environmental and weather conditions of the region and will build to meet your individual requirements using the most cost effective design. 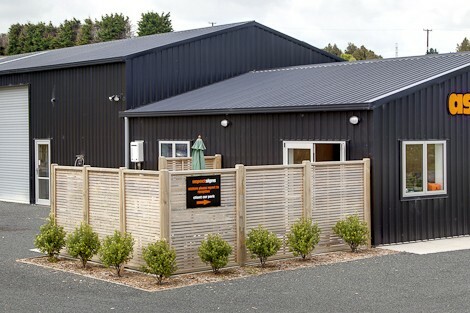 We are ShedSafe accredited and use quality New Zealand Steel. We have a loyal team of qualified tradespeople who have a wealth of experience and knowledge across the entire Shed Boss product range. We manage the build of your project from construction to completion, including coordination of all Council applications and insurances, taking the hassle out of the process. In 2005 Grant Scott and Hayley Baird discovered Shed Boss. Impressed with the brand, quality and reputation we bought the license and created Shed Boss Taranaki. Since then the business has gone from strength to strength, growing a reputation for quality design and construction and meeting the needs of our clients. We attribute the success of Shed Boss Taranaki to the passion and desire to succeed and to surrounding ourselves with good people. Our team members, core contractors and business partners are all really good people. We love what we do, we believe in our brand and take pride in it. Here at Shed Boss Taranaki, it is important that you purchase a building that is 'Built Strong' and it is 'Built Right'. Our 'Strong' and 'Right' philosophy, like our buildings has stood the test of time. Custom quality steel buildings, designed to your requirements is what we are about. “On behalf of the membership of the New Plymouth Sport Fishing and Underwater Club I would like to thank you, your business and the staff involved for an excellent job in the initial construction and closing in of the recently completed Club extensions.The high quality of workmanship is a credit to the people working for you and a catalyst for us to maintain that high standard during the fit-out stage. Your input and advice in the early stages of planning the development was invaluable and assisted us in “heading in the right direction” with this largely Club managed project. Working with the team at Shed Boss Taranaki was great.Warren and I at times had different ideas of what we needed, the team were patient and let us work thru our concerns.We had a few laughs and when there was an obstacle regarding the process of building, it was discussed and dealt with professionally.We are more than happy with our new premises and have already recommended our own clients that Shed Boss is the way to go.Cheers Team.Have a great day. 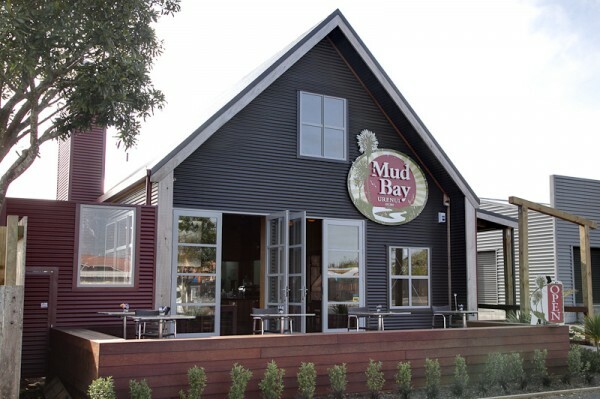 We at Mud Bay Café in Urenui have been thrilled with our café that Shed Boss has built.The final structure is better than we could ever have imagined and we constantly get the wow factor from our customers. 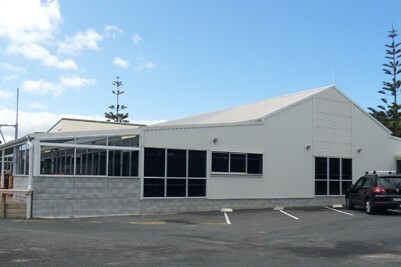 The team at Shed Boss Taranaki worked together with us and our designer to create our wonderful building.We like their transparent pricing where every costing was explained.We would recommend Shed Boss to anyone who was building especially with the desire to do something a little unique.